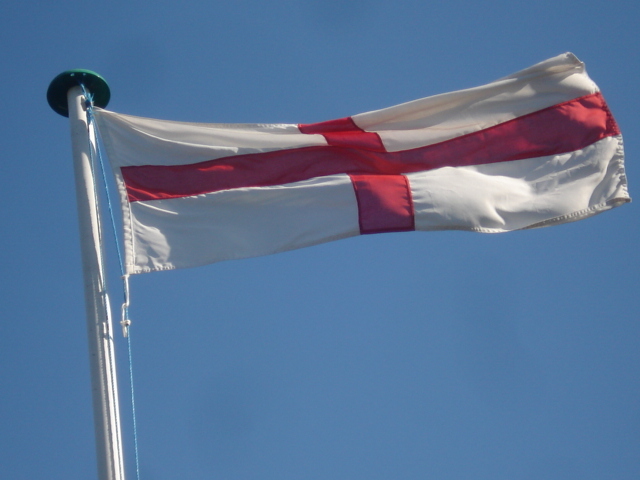 We English don’t make too much fuss on St George’s Day, the 23rd April. But we at Lodge House did raise the St George’s flag today. It was a glorious sunny day with beautiful blue sky, so the flag looks good wafting in the gentle breeze. Happy St George’s Day everyone! !